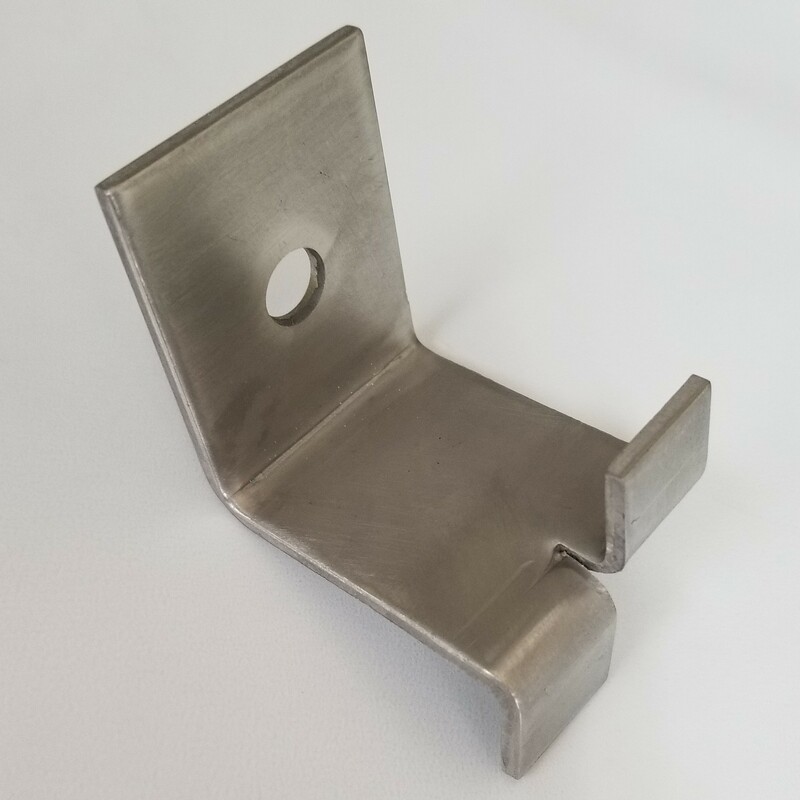 Easy to use stainless steel Z-Shape panel clip. Custom made to order panel clips available. Call for more information on custom clips. 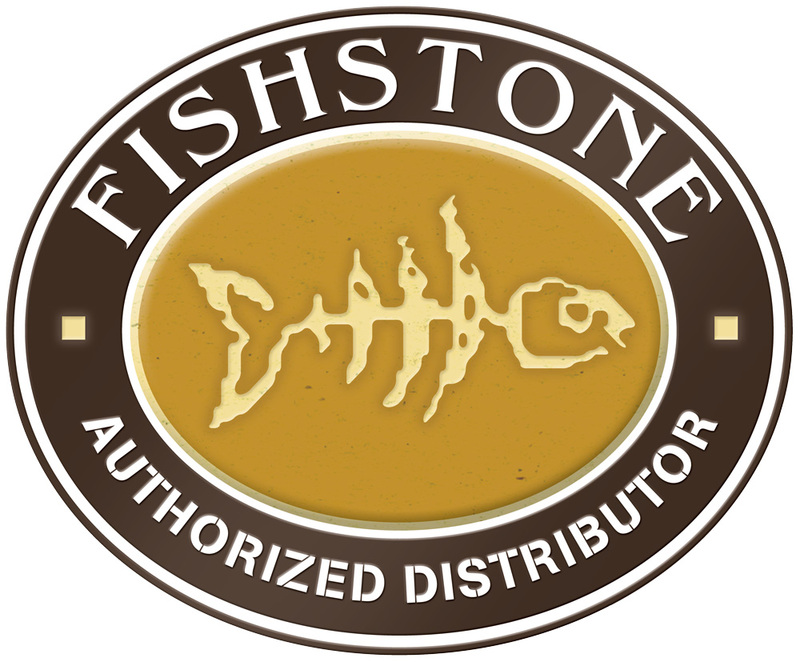 Typical recommendation for usage: U-Shape as bottom course, Split-Tab as intermediary courses and Z-Shape for top course. 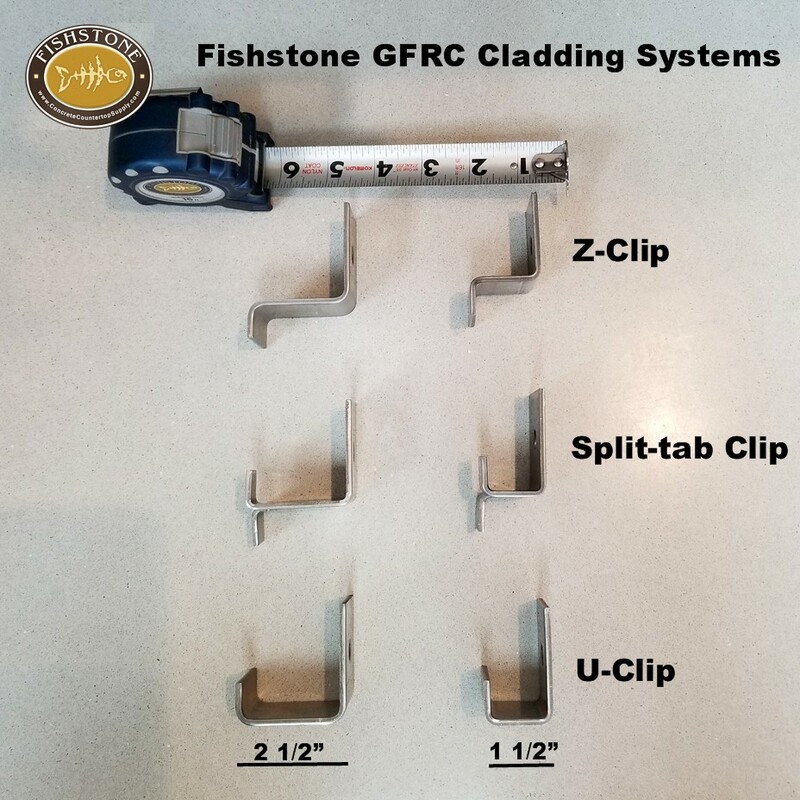 2" Standoff, Stainless steel bent split-tab panel clip for safely and properly affixing GFRC and stone panel cladding. 2" Standoff, Stainless steel U-Shape panel clip for safely and properly affixing GFRC and stone panel cladding.